I assume some folks in here ride a mix of pavement and gravel. I'm looking to try some local group rides and want to hit gravel grinding and road rides and want to also switch to clipless and get a proper bike fit. I have rough knees and initially thought speedplay frogs but after some more research found many people dont need a ton of float to get relief on hard rides. That had me considering something like the zero. I'm wondering if i should look at a different pedal or if anyone had suggestions ? The zero concerns me some regarding dirt on gravel rides. The pave is interesting although not very cheap. Then the whole world of SPD setups but i always thought those didnt handle dirt too well. Any of the SPDs would handle dirt well and if you pick a good stiff XC shoe it will do both road and gravel well. In terms of pedals, double sided I'd say XT is best bang for the buck and for single sided A600 or the new es600? Shoe should be stiff, I actually have a very wide flat foot so shoes have been an issue. I have some Bont riot + on the way and i'm hoping once heat molded they will work for me. If so i'll probably go up to one of their higher end models once i verify fitment. Shimano XT Race pedal is widely available for under a hundred bucks and is a great value. I use XTR that were on sale at Jensen. SPD. I use them on my road/gravel bike, which I ride about 80/20 road/dirt. Everyone is different but I found no issues going from full floating to non-floating pedals. Personally, I think Speedplay makes a bigger deal out of it than it really is. I actually enjoy having my feet more locked in at the end of a long ride when I'm tired and form is getting sloppy. I have a friend who is having a bear of a time trying to get Frogs working. SPD are ubiquitous. M520 are dirt cheap if you want to try them and they come with cleats. XT or XTR are extremely popular. At the high end are EXPDO Titanium. Make sure you get the right cleats as there are two types. SH51 are single release for aggressive riding and racing. SH56 are multi release for touring and fitness riding. The SH56 can pull out if you ride really hard. If you don't need tons of float, XT or XTR are great at what they do-cleats are cheap and available anywhere, the pedals are durable and so are the clears, pedals are rebuildable, nice quality....only thing not to love, is they aren't the best at mud shedding as in CX. If you do need tons of float...TIME ATAC are a great bit of kit to from what I hear. Not too many shoes out there in wide....and the ones out there tend to be expensive....Most shoes, including many nice ones only fit narrow feet. If you get a nice pair of flat pedals you can wear whatever shoe you want. Plus flats are better for learning handling skills off-road. 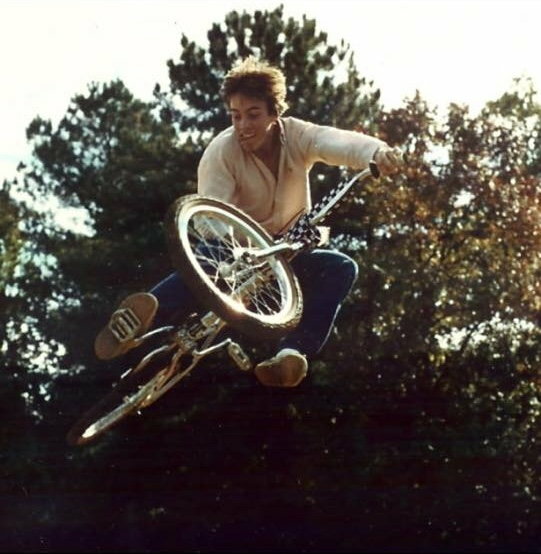 Clipless just lets you cheat your way out of learning how to bunny hop and lift the bike up naturally. I have used Shimano Saints and Crank Bros Stamps on road/gravel bikes and they both work great. No speed difference between that and an SPD setup. Unless you're road racing, clipless is a scam IMO. Expensive, limits your options, and impractical for off the bike. Lots of MTB pros use flats. I have the same problem and have been looking at the Bont shoes. I got a pair of Lake CX241 series shoe and they are AMAZING for my EEEE wide feet. Since these are road shoes I have been thinking of getting the MX (Mountain Bike) version but am having a hard time justifying another $350 purchase. Last edited by kokak; 04-12-19 at 04:15 PM. Note the MX237 Endurance has a better heel-hold material than the older/standard MX237 which has a rather sloppy and wide heel. The Endurance also having the more protective front-end. also in for look cleat pedals that tolerate durt since these riot+ are road shoes. Bro if Lakes extra-wide isn't wide enough then you have concrete blocks for feet. Also, there's no way you're stuck between a 42.5 and 43. I can easily switch between my 45 and 45.5, there's only just a smidge of extra room in the toe. But we're cycling, not playing basketball, our feet stay in the same position within our shoes. You need a mtb pedal like an SPD, and stiff carbon soled shoe. Done. Unless you're road racing, clipless is a scam IMO. This is so not true. Not having my foot slip around the pedal while riding rough gravel roads is anything but a scam. Has this happened to you? If so, on which pedals? Modern mtb flat pedals have pins that "cling" to the bottom of the shoe. I ride quite a lot of gravel and singletrack and my feet are quite stable on the pedals, even in the wet. A lot of enduro and downhill riders also use flats and their terrain is a lot rougher than what you see riding gravel on a drop bar bike. I gotta think they use flats for the ability to step down easily, as they do that way more often than we gravel riders do. I like not having to think aobut my foot sliding, and I don't want to use soft soled tennis shoes. But you're right, the studded flat pedals are perfect for putzing along. He doesn't have a car. He's been riding his bikes (Surly Disc Trucker is the main one) everywhere for everything 12 months a year rain or shine for decades. He is on the same set of pedals, and not only rides in the city, has done some bike packing, and has started riding gravel with me. No issues whatsoever for him. I sprung for the 540 model since i liked the idea of the all-metal axle design (on sale at Jenson for $45 last year). And there's almost too much float for my taste (specs say 5 degrees). I ride maybe 60/40 pavement/gravel. 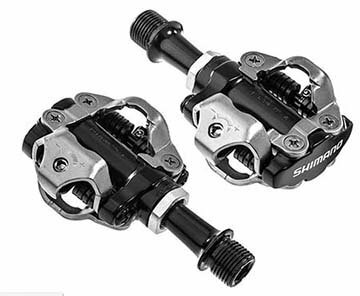 From what I've read, these Shimano pedals simply last and last. I don't think you'd need anything else. And I used to be anti-Shimano back in the 80s and 90s. As an aside, my Race Face Chesters ($40-$50) grip my five tens like glue. i had to focus and consciously lift my foot to move the shoe, those pins are that good. But i did only average trail mtb riding before moving to the gravel bike. Nothing too sketchy. Last edited by ericzamora; 04-14-19 at 02:59 AM. ​​​​​​ All opinions and potential benefits of one vs the other (this is not a vs thread). It is what it is. Myself personally... The more I use clipless it seems the more often my feet slip when I do not use them. I never had slip issues before. Small micro adjustments in your subconscience pedaling mechanics I assume. If you use them enough you tend to count on and rely on them. Back to the OP. What exactly are you asking about, different types of clipless types and if they work on gravel vs road? The shoe and clipless that works for you will get the same result on road or gravel. Proper fit, comfort, float, hardness, and cleat position is what it is and applies equally on gravel rides and road rides. Last edited by u235; 04-14-19 at 06:30 AM. as soon as I jumped back on the bike..
Last edited by Zaskar; 04-14-19 at 04:03 PM. Sure. But pretty much anybody gravel riding recreationally isn't in a race situation, and the benefits of flats (price, convenience, handling skills) are very good.